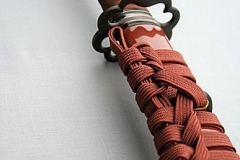 I love looking at these pics. 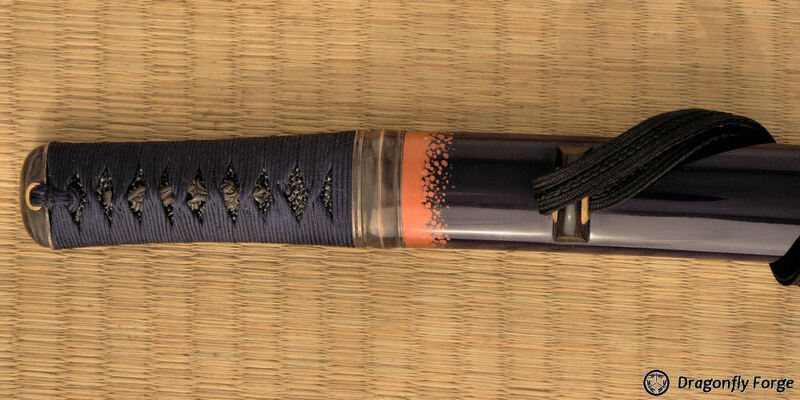 Do you sell those koshiraes? 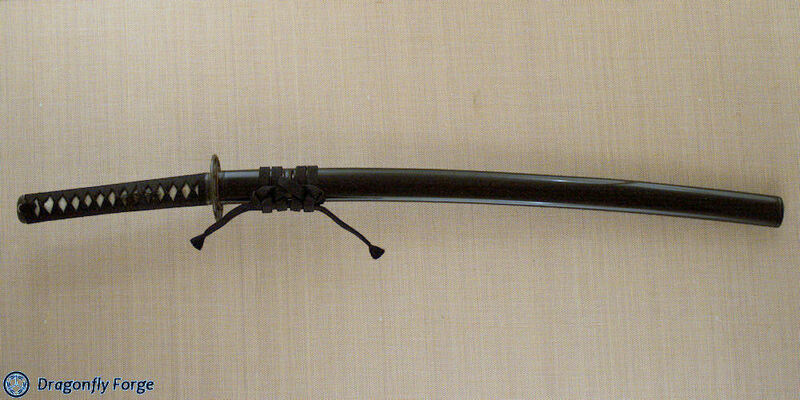 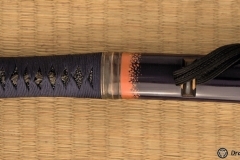 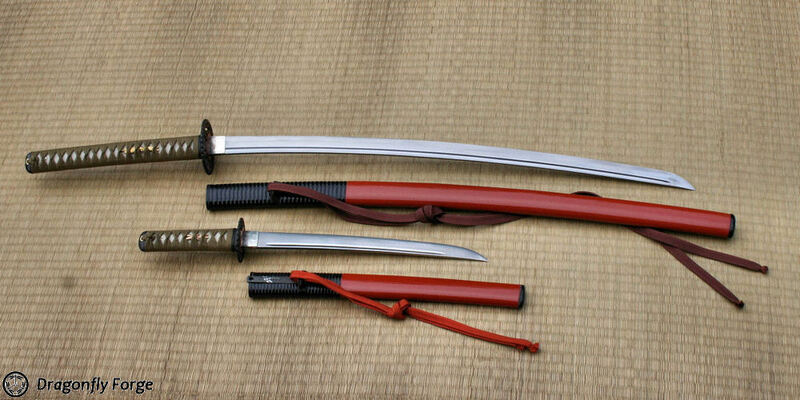 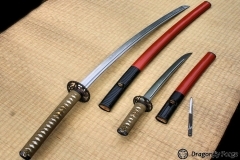 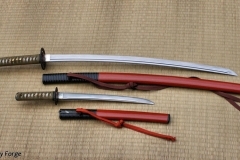 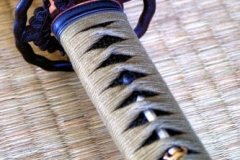 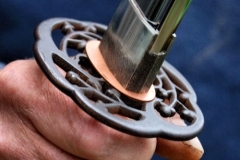 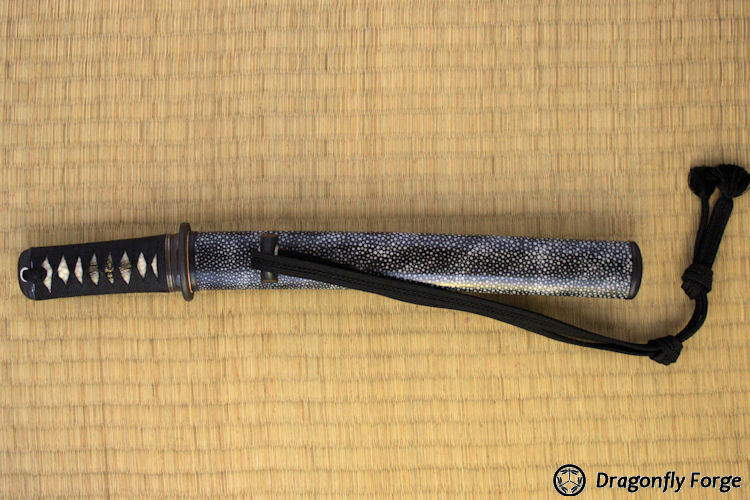 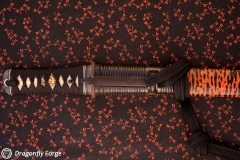 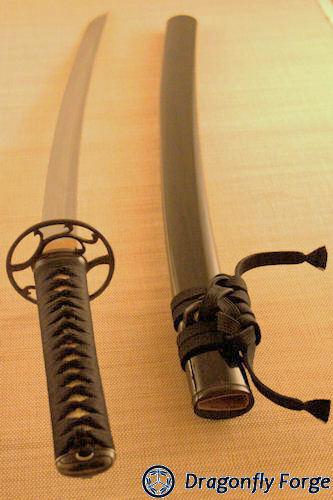 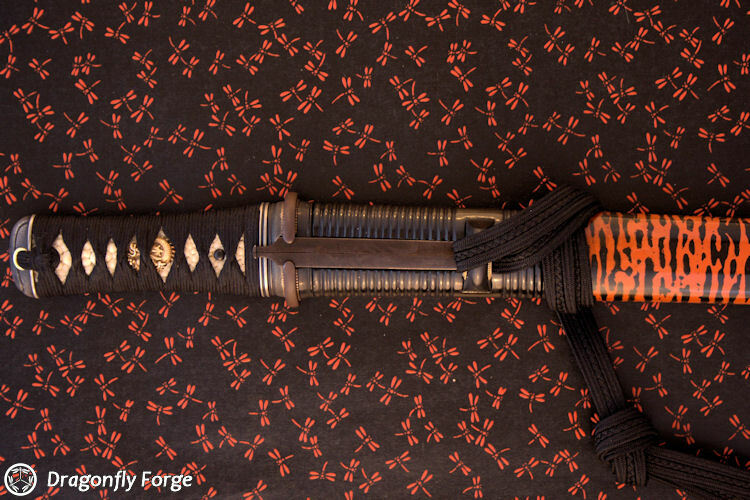 Koshirae, or sword mountings, are crafted specifically for each blade individually. 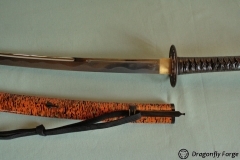 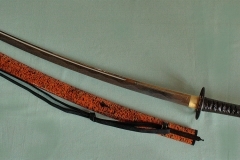 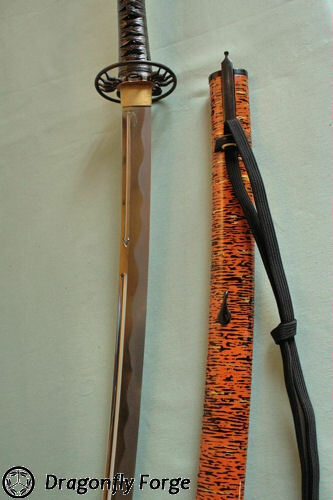 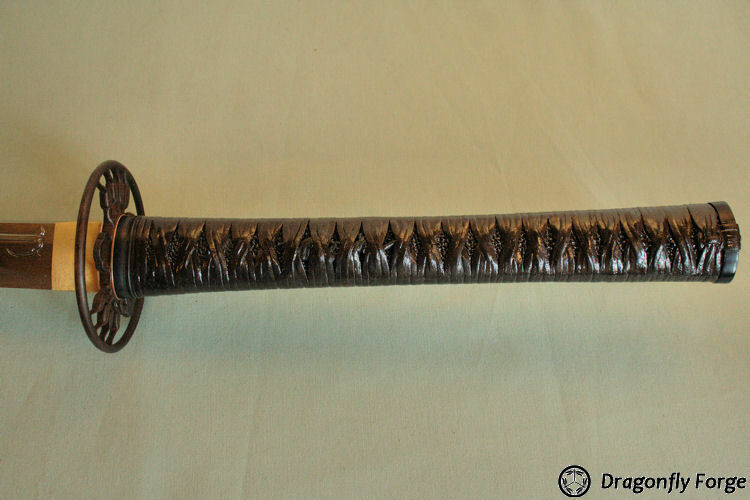 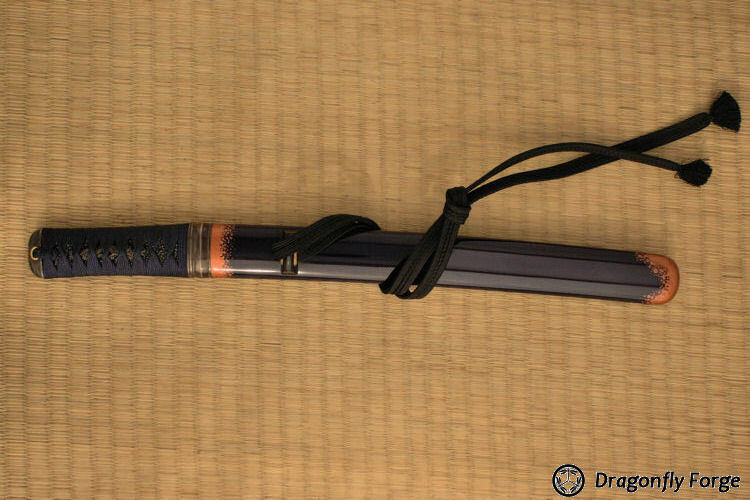 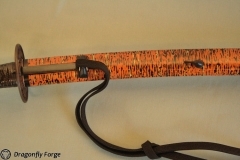 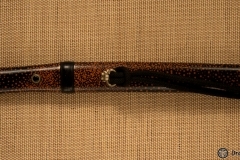 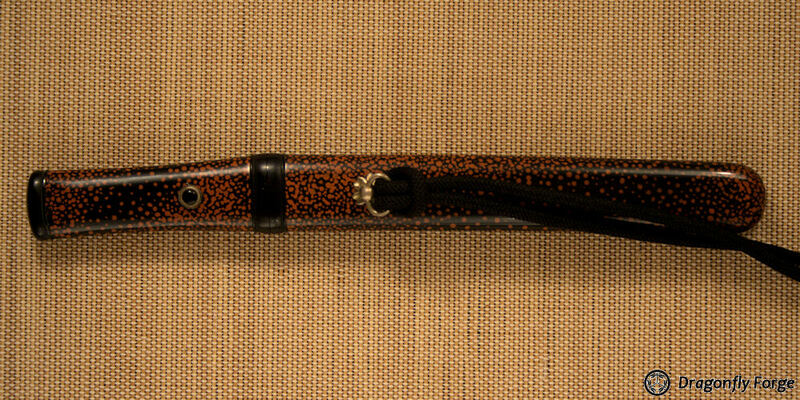 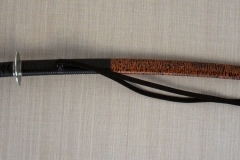 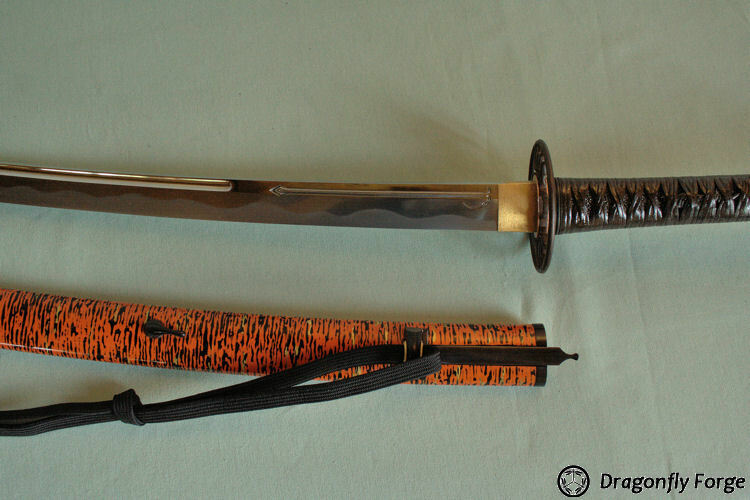 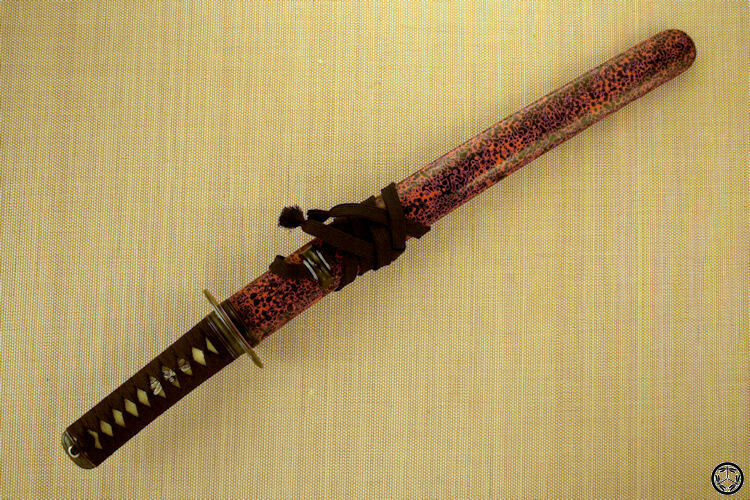 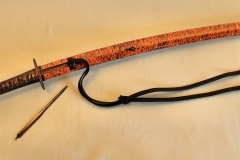 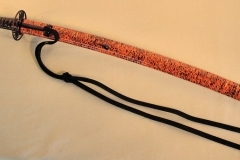 These consist of a wooden scabbard and handle, with the scabbard being lacquered and fitted with horn or metal fittings to improve durability, and the handle being reinforced by ray skin and silk or leather wrappings. 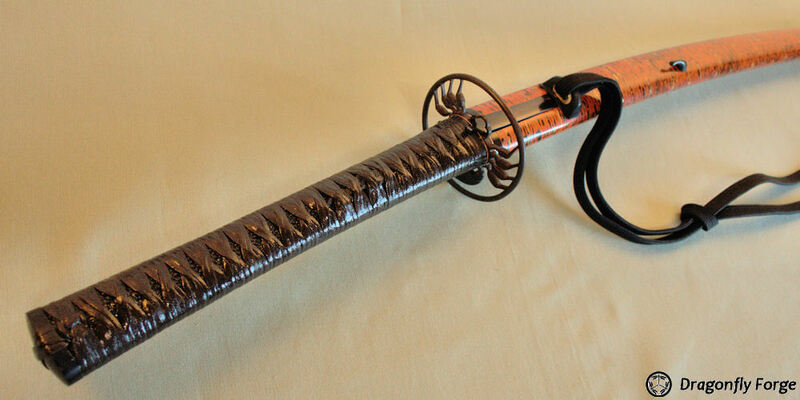 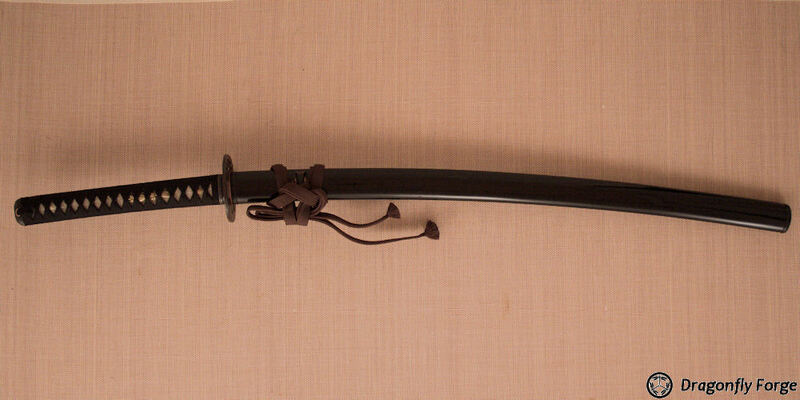 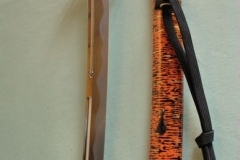 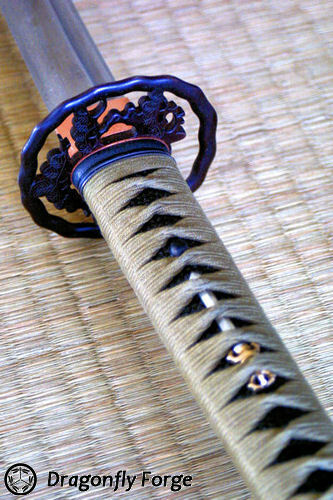 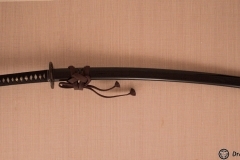 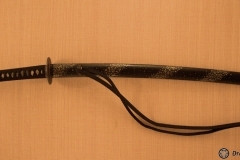 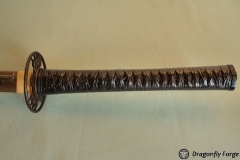 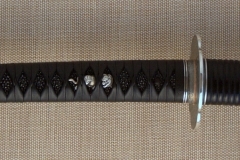 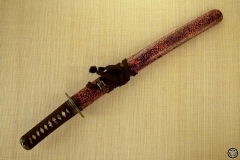 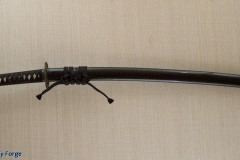 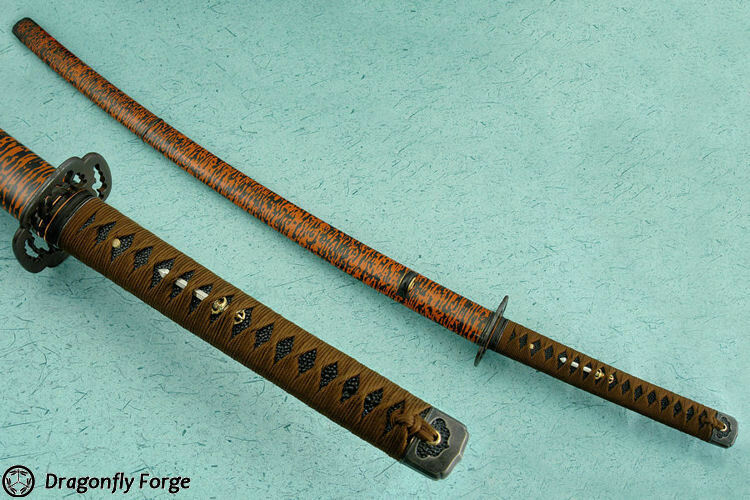 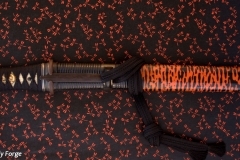 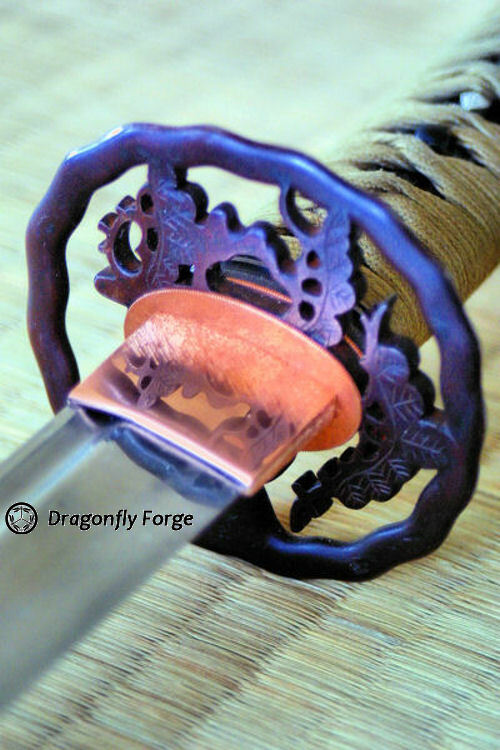 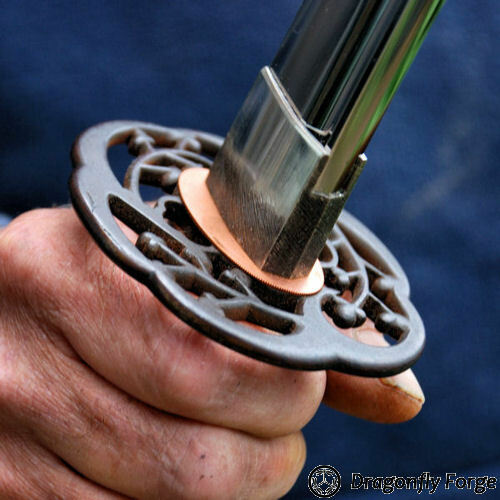 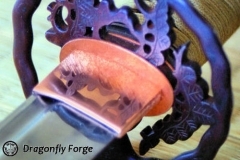 There are also pommels at each end of the handle called fuchgashira, frequently of precious metal, as well as hilt ornaments called mennuki, Dividing handle and scabbard is the tsuba, or sword guard. 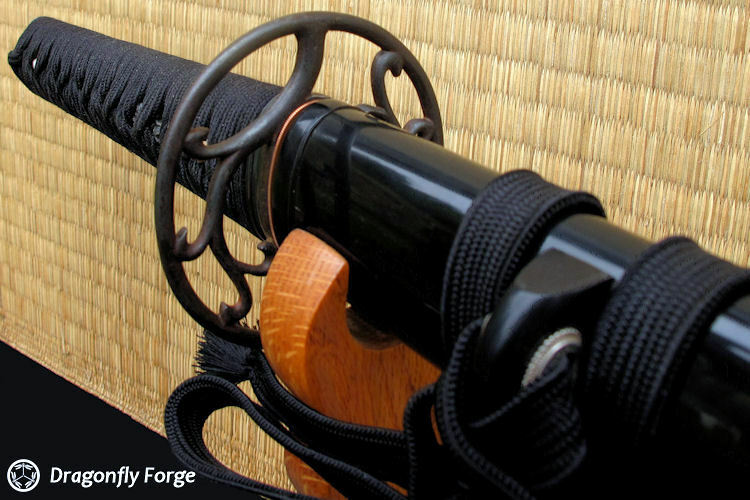 These are often high art in themselves. 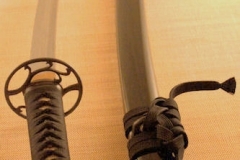 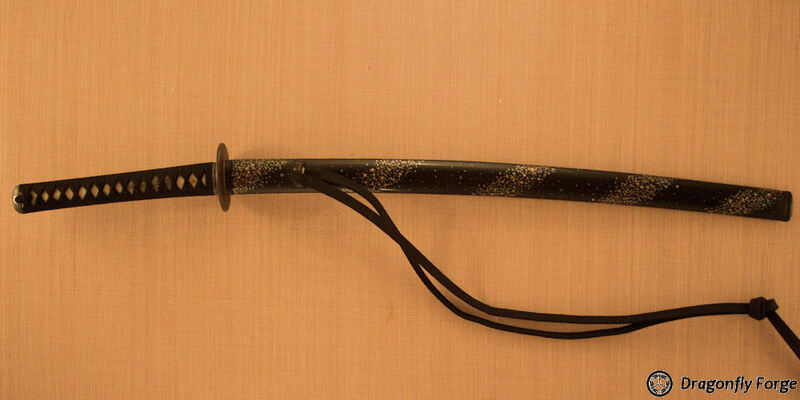 We can make koshirae for your own blade or one forged by us. 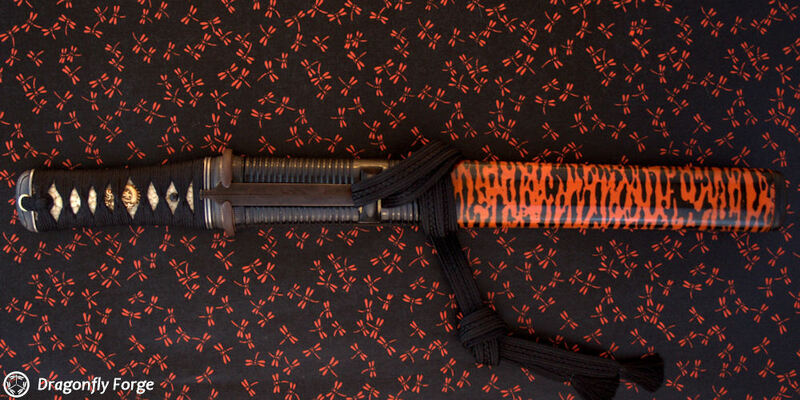 We do all work in-house. 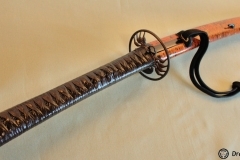 Let us know your needs and we will be happy to provide further information on cost and options. 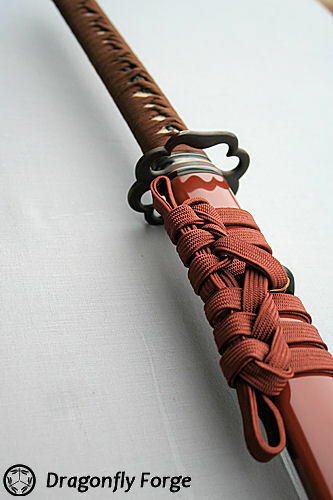 As always, your craftsmanship is superb! It’s a pleasure to look at these!